A Houston firefighter has been accused of sexually assaulting an off-duty sheriff’s deputy. The firefighter has been identified as 25-year-old Henry Cuellar. The victim was an off-duty female Harris County sheriff’s deputy. According to court records, the victim met Cuellar, her cousin, and friends at a bar in Humble. The group was later driven from a bar to the apartment of the victim’s cousin. The account said the victim went on to sleep in a guest room, fully-clothed, and with the bedroom door closed. The same court records said Cuellar went to sleep on the couch in the living room. The victim shared with the investigators that she was shocked to wake up and find herself naked to her stomach. She told the authorities that she also saw Cuellar sexually assaulting her. She quickly dressed and left the place. The victim lost no time in going to the hospital to have herself undergo a sexual assault examination. In his alibi, Cuellar claimed that while he remembers the night, he does not recall leaving the bar because he was intoxicated. Cuellar also told investigators that what he remembers also is waking up in his underwear, and with the victim being naked but also said she didn’t remember anything after leaving the bar. The records also indicated that Cuellar and the victim had known each other since grade school. They even dated once in high school but never engaged in any sexual relationship. The fire chief shared that for they have transferred Cuellar from the emergency operations division while they await the results of the ongoing internal, administrative investigation. Court records also revealed that Cuellar is not a U.S. citizen. He is from El Salvador and has lived in the U.S. for a decade. For the victim’s welfare, a protective order has been issued prohibiting Cuellar from having any contact with her. 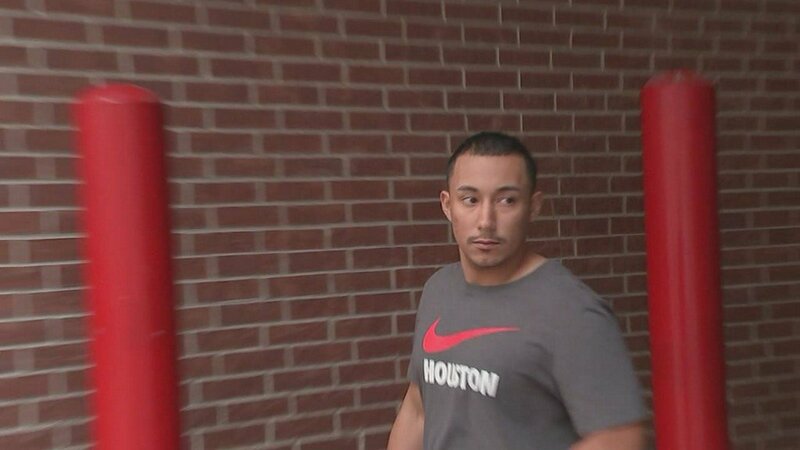 Cuellar has been with the Houston Fire Department for only about seven months. Prior to that, he worked as EMT with the City of South Houston. While firefighter EMTs will save a Police officer and patch them up. In some cities the Police have no love loss for them. Because the firefighters EMT also patch up the Gang Bangers. In fact many gangs have a Hands oOf policy for FF and EMT's.